The rooms below are available for reservation. If you are a member of the Hopkins Extreme Materials Institute (HEMI) and/or are reserving room 128 or 137, please contact Katie Vaught directly at katiev@jhu.edu. Prior to requesting room 137, we ask that you view this document to ensure an understanding of its appropriate use and reservation policy. 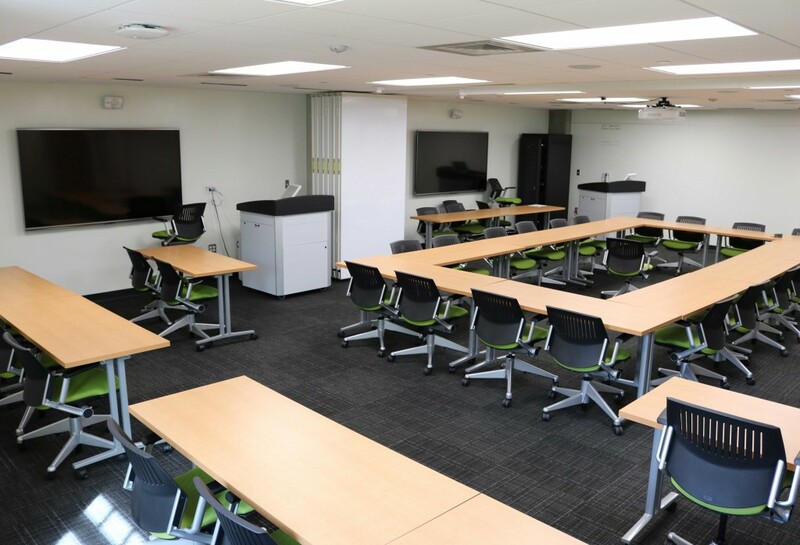 If you are reserving a room for a department outside of HEMI, click here to view availability prior to emailing malonerooms@jhu.edu. 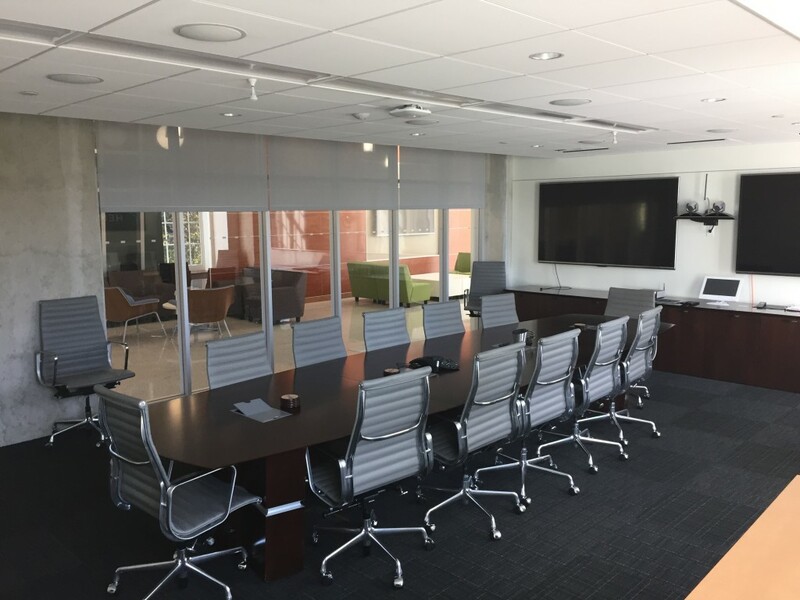 The HEMI Boardroom is equipped with 1 large table (able to seat 14 comfortably) and 6 additional chairs. Please review the policies for this space before placing a reservation request. Room 128 is equipped with 2 tables with the capacity to seat 12 comfortably. 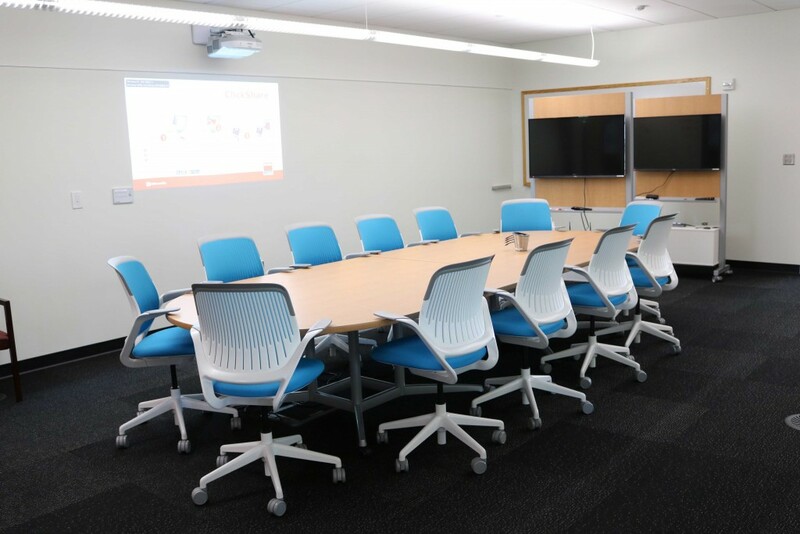 Room G33/35 is equipped with 20 tables that can be reconfigured to fit your needs. Seating capacity is 40. An airwall can divide the room into two if necessary.